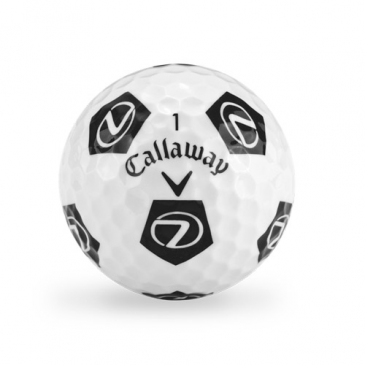 Chrome Soft Truvis Golf Balls are now a part of the Callaway Customs Range, allowing you to personalise the Truvis Design/technology even further with a logo inside the pattern or as the pattern. These golf balls provide a great opportunity for a unique offering not available on any other golf ball in the market! Decoration Method: Pad Print - at time of manufacture so its permanent!